It was a more upbeat mood than the past four years when representatives from community colleges in San Diego and Imperial counties met with state legislators this week to advocate for funding and programs benefitting the more than 140,000 students who attend the nine colleges in the region. The November 2012 passage of Proposition 30, a temporary statewide tax supporting education, has eased the budget crunch that forced the colleges to eliminate hundreds of class sections and turn away thousands of students. Although the colleges still have not returned to 2008-2009 funding levels, the improved budget situation has allowed them to add classes, offer winter intersession courses, and hire more faculty. CEOs, trustees, students and faculty from the community colleges in the two-county area – Cuyamaca, Grossmont, San Diego City, San Diego Mesa, San Diego Miramar, MiraCosta, Palomar, Southwestern and Imperial Valley -- met with their legislators as part of the Community College League of California’s annual legislative summit. The group met with incoming Assembly Speaker Toni Atkins; Assembly members Rocky Chavez, Lorena Gonzalez, Brian Jones, Manuel Perez, and Shirley Weber; and state senators Marty Block, Ben Hueso and Mark Wyland. With a penchant for costumes and a flair for adding panache to any event, payroll technician Yvette Macy is known for a well-honed sense of fun. But equal to this is a more serious side: a commitment to her job and helping students succeed. 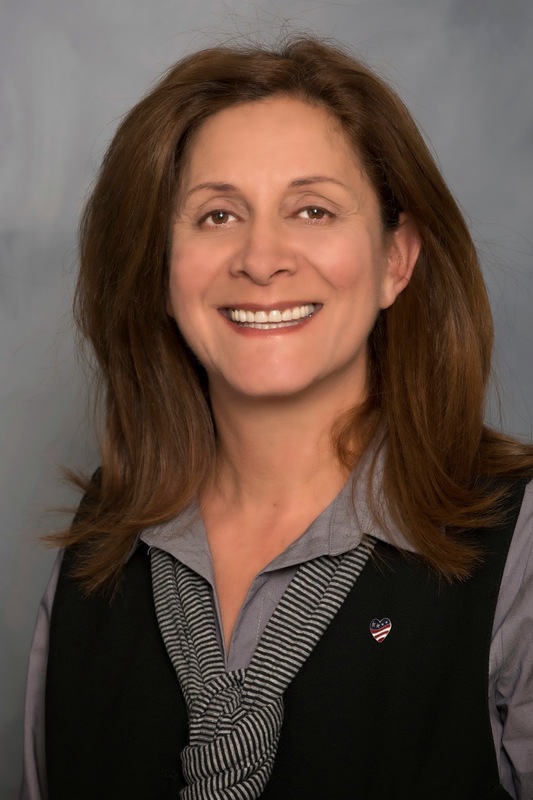 For that, the six-year employee of the Grossmont-Cuyamaca Community College District is the latest recipient of the Chancellor/Classified Senate Award, a recognition given each quarter to an outstanding staff member. Whether it’s directing crowds during commencement exercises or helping to staff information booths at Grossmont College at each semester’s start, Macy is front and center when it comes to supporting students. Her efforts on their behalf, as well as fellow employees as an active member of the Classified Senate, are widely known and appreciated, say those who nominated her for the award. At Tuesday night’s Governing Board meeting, Macy received an engraved acrylic award, a Barnes & Noble gift certificate and a lunch with district Chancellor Cindy L. Miles and Governing Board President Bill Garrett. A coalition of community colleges in San Diego and Imperial counties has received a $1.4 million grant to better prepare students -- beginning at the middle school level -- for the hottest jobs of the future. The three-year state Career Pathways grant will focus on providing training for job sectors determined to have the most growth in the region for the coming years. Money from the grant will also be used to align the training and education programs among community colleges and the middle and high schools so that all of the programs are teaching the skills that students most need to learn for the emerging jobs. 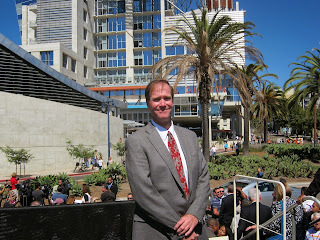 The region is uniquely qualified to establish the program because all of the nine community colleges in the two counties are members of the San Diego and Imperial County Community College Association (SDICCCA), a coalition that has existed for 50 years to work together to better serve the area's 150,000 community college students. The California Community College Chancellor's Office challenged community colleges throughout the state to determine which workforce sectors will show the most growth and have the greatest need for more trained workers. The regional consortium for San Diego and Imperial counties determined that they should focus on training for jobs in transportation and renewables, health, and biotech, along with advanced manufacturing and information communications technology/digital media. Spring semester begins Monday at Grossmont and Cuyamaca colleges with more class offerings, instructors and students than last year as the college district continues an upward trend, thanks to a slow, but steady growth in the state economy. The East County colleges are continuing along a restorative vein, attributable to an improved economic climate and ongoing support from Proposition 30, a temporary sales tax and, for wealthier Californians, income tax hike approved by voters in November 2012. The revenue enhancements reflect an upward tick, with the governor’s proposed 2014-15 budget calling for a modest increase in mandatory education funding for public schools and community colleges, as well as additional dollars to restore student access and one-time funding for student success programs. The added dollars to the district coffers mean a projected enrollment growth of just less than 3 percent from last spring, from a total of 27,647 students to an anticipated 28,430. Course sections for spring reflect growth as well, with this semester’s classes totaling 2,413 compared to 2,058 last spring -- an increase of about 17 percent. During the years of the state budget crisis that began in 2008, the number of full-time faculty members in the district dropped from 325 to 266. With the improved budget situation, the district has been able to hire eight faculty members and is recruiting or in the process of filling 25 positions, including a physics instructor at Cuyamaca and digital media/journalism instructor at Grossmont College. More than half the students in the district are on financial aid, even with California community colleges being the most affordable institutions of higher education in the country. Two-thirds are unprepared for the rigors of college academics, making the additional dollars proposed in Sacramento for student success initiatives all the more important, Miles said. While the current picture shows a marked departure from the doom and gloom of recent semesters, the fortified dollars for education do not return the district to prerecession levels. Four consecutive years of debilitating funding cuts starting in 2008 totaled $16 million to the district, forcing the colleges to slash 1,600 classes and to turn thousands of students away. On a separate front, work is progressing on Proposition V, the district’s successful East County ballot measure from November 2012 that brings $398 million to the colleges to address longstanding facility, infrastructure, technology needs, veterans’ services and workforce training. The district’s updated facilities master plan, with a more detailed look at the placement of new facilities, was approved last year and the district is currently nearing completion of design guidelines, space standards, and material and systems standards – required elements that will guide all Prop. V building projects. “We are confident that these facilities and infrastructure improvements will allow us to continue providing a high-quality education to our students, while we remain focused on the bottom line to ensure we spend every dollar wisely,” said Governing Board President Bill Garrett. When Star Bales, El Cajon’s newest council member, came to America from Iraq, one of her top goals was to get a college education. Although she spoke little English at the time, she started to take classes at Cuyamaca and Grossmont colleges in the early 1990s. She attended classes through the years, while taking care of her husband and two children and running her hairdressing business. She said her classes helped hone her art talent, in particular a class taught by Diane Weintraub, a Cuyamaca College instructor, who encouraged her artistic creativity. “Diane was the first person who pushed something in me that even I didn’t recognize in myself,” Bales said. Bales graduated from Cuyamaca College with an associate degree in visual arts in 2006. She now pursues her artistic bent in murals she’s painted in El Cajon, at Edwards Air Force Base, the Lakeside Fire Department and Flying Hills Elementary School in El Cajon. The Grossmont-Cuyamaca Community College District has received more than $600,000 in state funding that will be used to add more energy-efficient lighting at its two East County campuses. Last month, the district was one of 14 school districts in the state of California to receive funding from Proposition 39, the state measure passed in November 2012 that raised taxes on out-of-state corporations to pay for clean energy projects at schools and campuses in California. The initiative also helps to create jobs. Of the more than $8 million that was handed out in the state’s third round of appropriations, the college district received $614,585. The district is also receiving a $84,799 rebate from San Diego Gas & Electric Co. for the lighting improvements. While several San Diego County schools have received energy funding from Proposition 39, Grossmont-Cuyamaca is the only community college district in San Diego County to have received funding. The state is expecting to allocate an estimated $2.5 billion over five years to eligible projects that will increase energy efficiency and broaden clean energy. 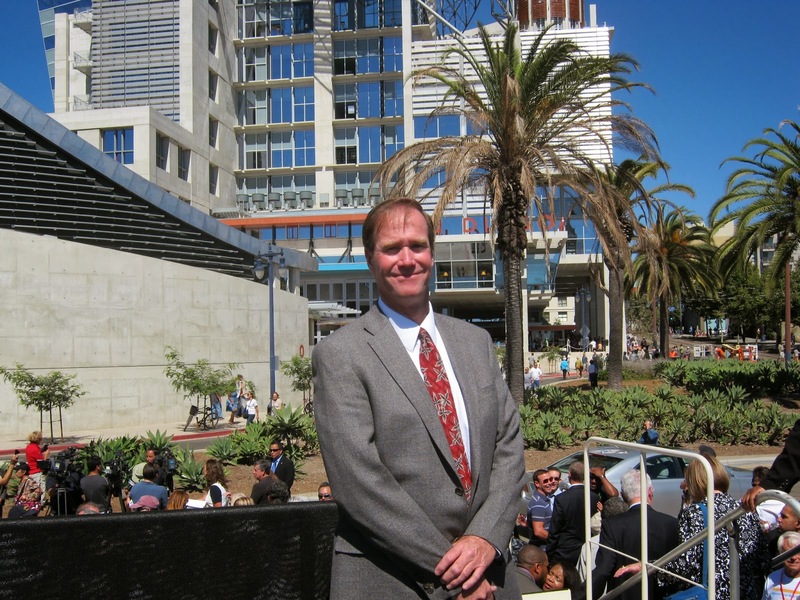 The 1983 graduate of the college’s surveying program headed the massive $187 million construction project as the deputy director of engineering and capital projects for the City of San Diego. With a 350-seat auditorium, a charter high school, garden courtyard and café, an art gallery, public meeting rooms and special-events spaces, the nine-story downtown facility is much more than just a place to browse for reading material. Visually, its iconic dome is already a prominent feature on the city’s skyline.